All our professionals at i Smile Dental maintain the highest levels of accreditation and pursue ongoing education to stay abreast of the latest trends in dentistry. 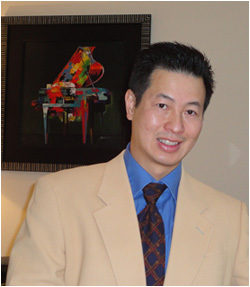 Dr. Kenneth Le has been practicing dentistry since 1996. He graduated from USC with a BS in biomedical engineering and DDS from NYU College of Dentistry. Dr. Le continues to enhance his skills and knowlege through continue educations. He has completed courses and seminars in full mouth reconstruction and implant dentistry at USC, 3-M, Tatum Surgical Institute and Implant Direct. He also completed a two year course with Progressive Orthodontic Seminars and has been creating beautiful smiles. Dr. Julia Le graduated from the prestigeous University of California at San Francisco and maintained her own private practice Creative Dental. Drs. Le enjoy out door activities, tennis, snowboarding with their two children Sophie and Tyler.